Posted February 25, 2007 in 2007/02, Uncategorized, z Archive. For me this year’s Comicon is an improvement, I got in. That is not to say I was very happy how they handled it. There was only one small entrance into the show. This meant that even with tickets (the show was sold out so you had to have tickets) it took an hour to get in. For some special events (like Stan Lee’s signings) you had to go outside the show to get tickets. Having spent over an hour on line I was not about to go out again and have to wait on line once more. Once in the show the crowds were generally manageable. They did have wider aisles so generally it was not too hard to walk around. That is except for Artist Alley. That was a disaster. Narrow walkways made passage painfully slow and difficult. It’s not the San Diego show but I think it could be. However San Diego was a show that grew into what it is today. New York has had to start up running. The show’s management has made improvements but they have to make a whole lot more. If they don’t do so quick enough I am afraid the Comicon will never go much beyond what it is today. I went to a couple of interesting panels. One on a movie that is being made of Will Eisner’s Spirit. Frank Miller was not there, but he will be directing it. Boy talk about mixed feelings. Frank is great and Sin City, both the graphic novels and the movie, were masterpieces. I look forward to the movie 300. The panel made it sound that the Spirit movie was going to be on the dark side. But the Spirit resides in Central City not Sin City. We shall see. Also a panel on the Marvel Bullpen. Ralph Macchio, Gene Colan, Joe Sinnott, Fabulous Flo (sorry I do not remember her last name) and of course Stan Lee. Very entertaining and off course Stan stole the show. Not that he did this in a mean spirited way. Often Stan would redirect questions aimed at him to one of the other panelists. During questioning from the audience many of the speakers prefaced their questions with gratitude to Stan for all that he did. At one point Lee said that he did not deserve all the credit. 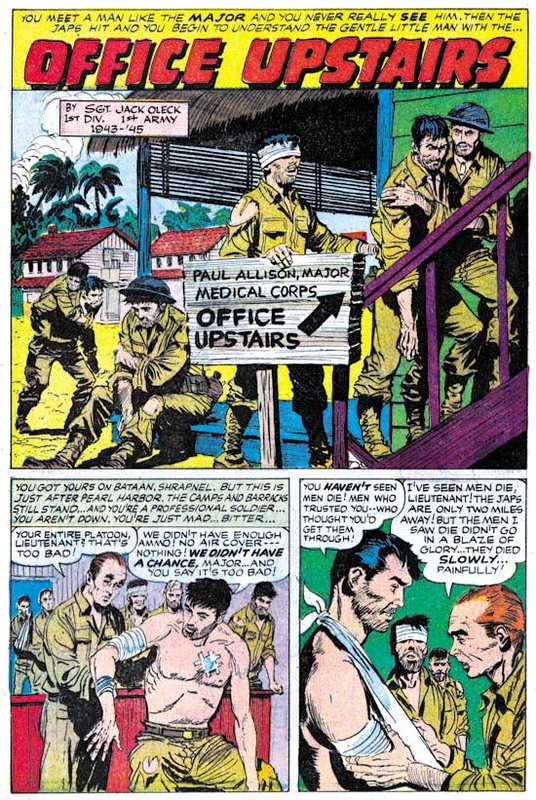 That there were other artists that were important to Marvel’s success such as Jack Kirby, etc. He then added something to the effect of “but of course I was the most important”. Now if you read this it may make Stan sound bad. But to hear and see it delivered it was something else entirely. Nothing in the original questions required him to say anything about Jack or the other artists. His remarks about the importance of these artists sounded absolutely sincere. In his statement about his own importance Stan was obviously hamming it up and it was clearly meant to be a joke. 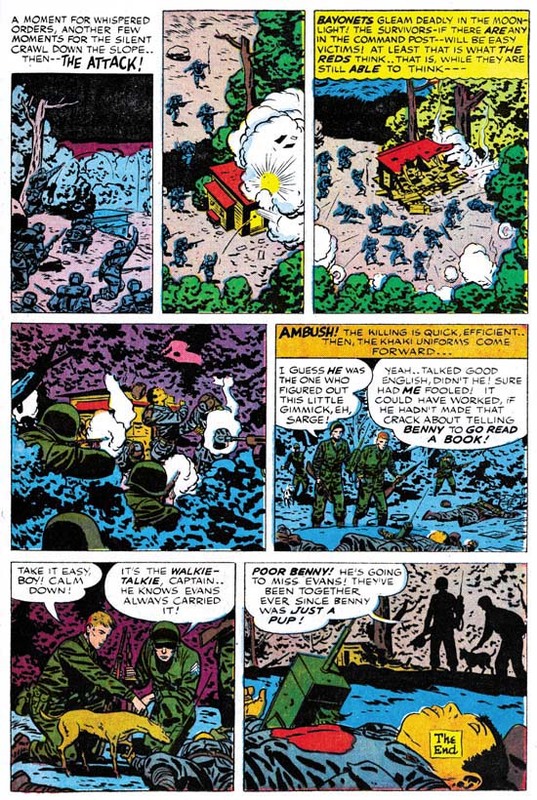 As for Simon and Kirby I did not see much original art. 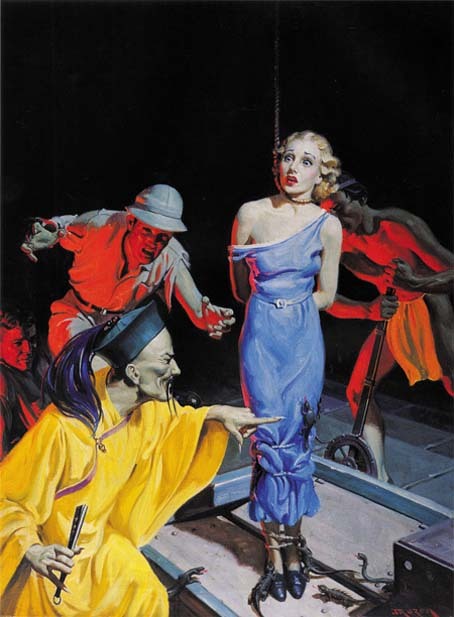 There was the cover art for the Harvey Fighting American. That is a bit of a puzzle for me because Joe still has “original art” for this cover made from stats. Why would he have done that if he still had the original art? My guess is that the art had already passed from his hands. Maybe Kirby had it or maybe it was already belonged to a collector. I did see once piece that was an important clue as to the identity of an artist that worked for S&K or perhaps Simon alone. I will post more on that if clue turns out to be valid. The Comicon has thrown my scanning schedule out of whack. But I do have some more Foxhole ready that I can post on next week. Perhaps, just perhaps, I’ll be able to wrap Foxhole up. Posted February 18, 2007 in 2007/02, Uncategorized, z Archive. Well next weekend is the big N.Y. comic convention. Last year I was one of those who spent a couple of hours on line only to be turned away. I did help Joe Simon with his appearance the next day. But helping Joe kept me so busy that I really did not get to see much. Joe will not be showing up this year and I have bought my ticket in advance. Hopefully things will work out better this time. Unfortunately there does not seem to be any Kirby panel. Where is our east coast Mark Evanier? I will be on the look-out for anything of interest concerning Simon and Kirby. We will see if I find anything worth posting about. 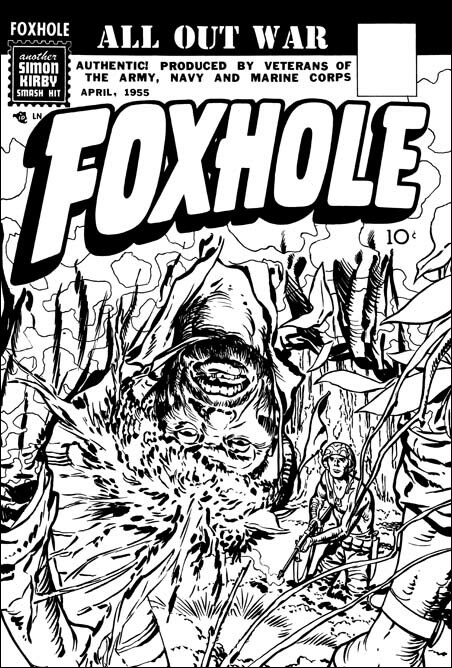 I have scans ready from Foxhole #4 so even with the convention going on I am sure I will be posting on that issue. 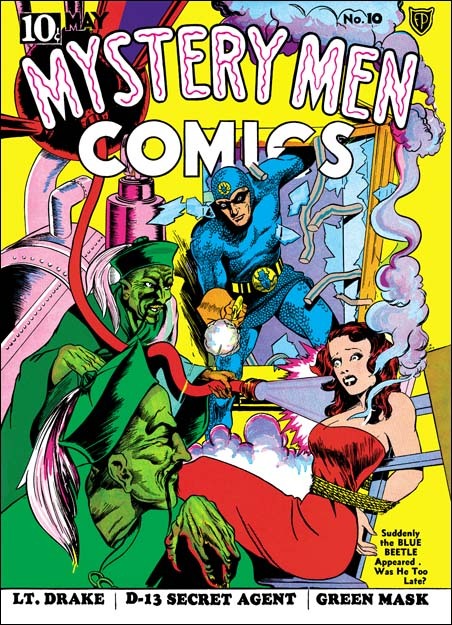 I hope my readers do not mind this review of comics which have so little Kirby art. 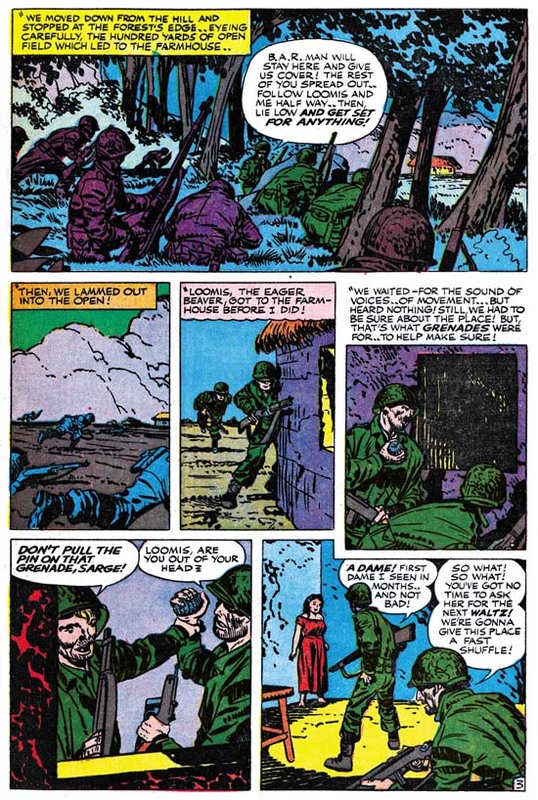 The artists who worked for S&K may not have been in Kirby’s class (who was?) but they are talented nonetheless. Focusing on this one title has helped me clear up some attribution errors I have previously made. My biggest surprise was how often Joe Albistur shows up. S&K really relied on him a lot during this period. I plan to give this sort of treatment to the other Mainline titles and Win A Prize. Recently I have been trying to inventory Joe Simon’s collection of original art. It is so great to look at so much stuff, including the art from Foxhole that I have been posting about. One of the surprises is how much work Joe did with DC during the ’70s. When I posted on the Sandman #1 cover I mentioned that the comic art was given the job number SK-2. Well DC also used JS numbering for work that Joe provided and they go up into the mid 300’s. Much of it was for romance comics Young Romance and Young Love. There are a few pieces, some with JS job numbers, that were “Written Off”. I suspect this means that DC felt they would not publish them even though they paid for the work. I suspect that they were concerned about getting Comic Code approval. Posted February 10, 2007 in 2007/02, 7 Freelance, Atlas Kirby, Featured Work, Periods, Topic, z Archive. 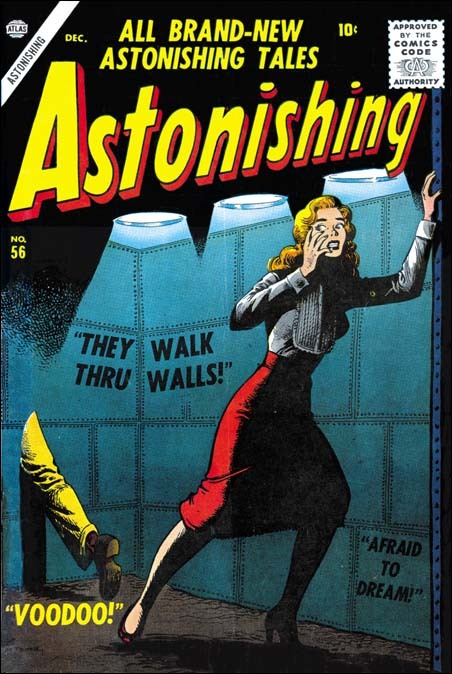 It was mid 1956 and the Simon and Kirby studio had failed. 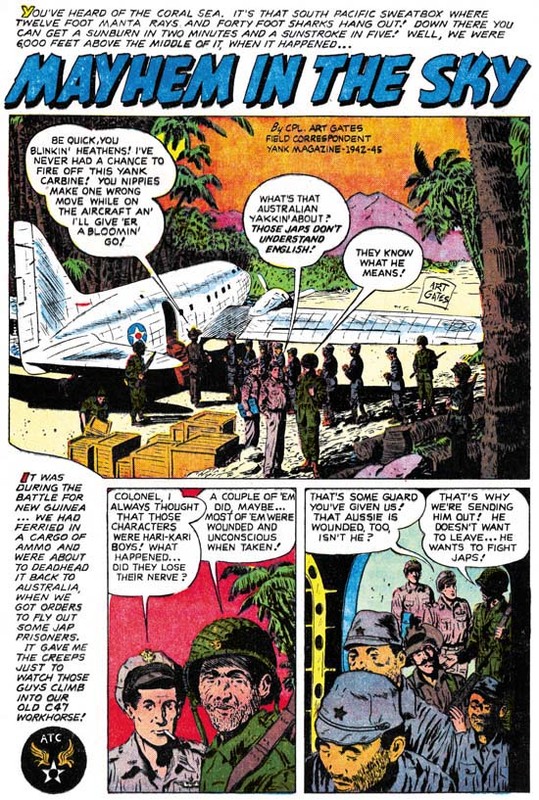 Jack Kirby would help Joe Simon with some projects that if successful might bring the team back together again (in the end they did not). But in the mean time Jack had turned to freelance work in order to support his family. 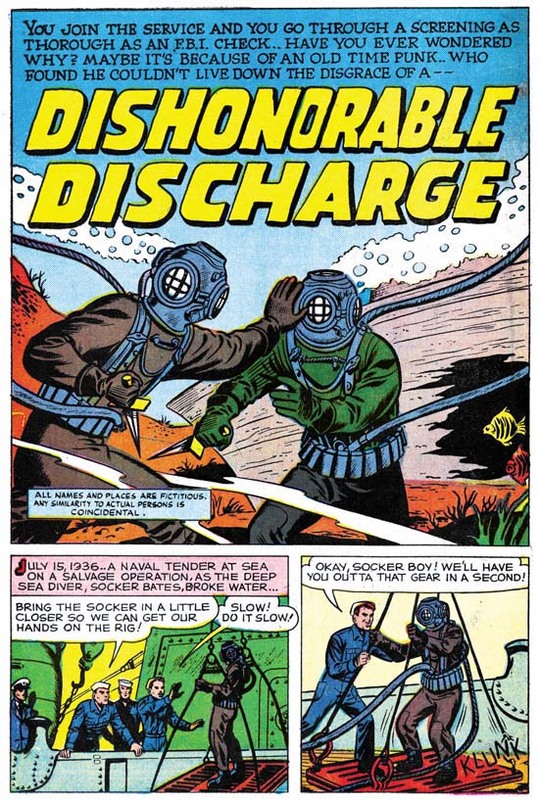 Jack was trying to sell DC on a new title that he and Joe Simon and developed called Challengers of the Unknown. Jack had also taken on some work from Atlas. It was a company he had worked for many years ago when it was called Timely. 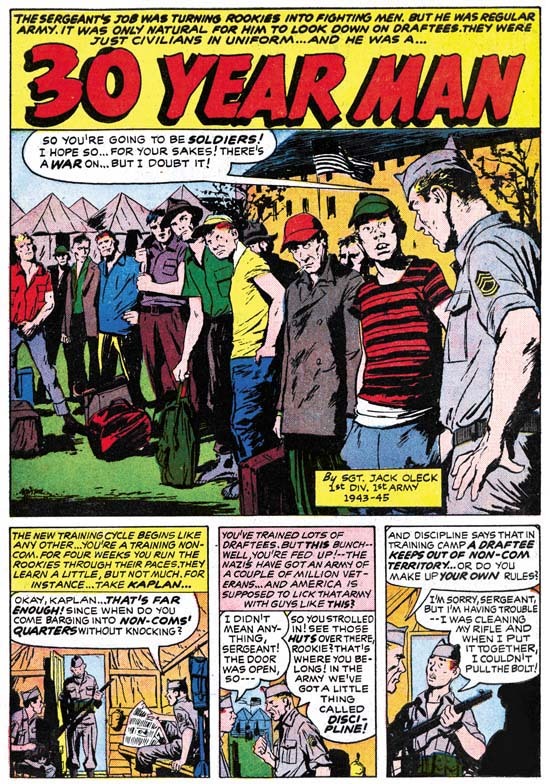 On that occasion Timely had failed to deliver of their promise of a share of the profits from S&K’s creation Captain America. If that was not bad enough, as Atlas they did not pay their artists all that well. But none of that really mattered because Jack simply needed the work. 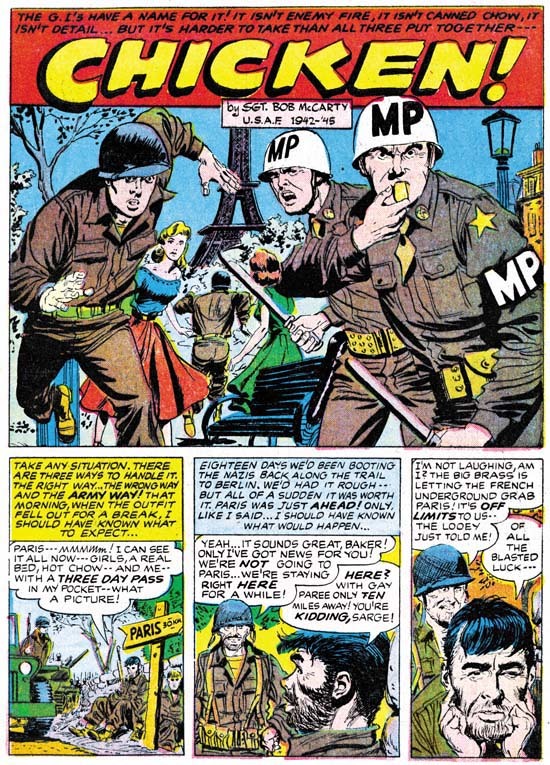 Kirby took over all the story art for Yellow Claw #2 (December 1956). I have previously posted about this comic and I consider Jack’s Yellow Claw work for issues #2 and #3 to be some of his best effort. It appears that Jack did all the work himself; writing, penciling and inking. 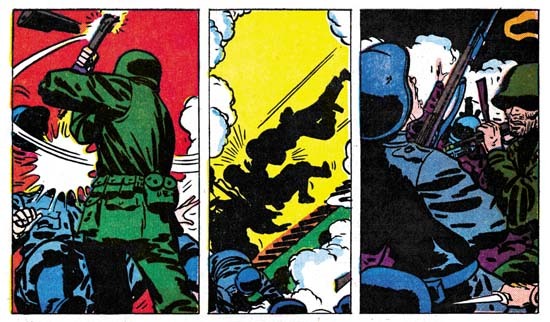 Of course since it is Kirby the penciling is great, but the real treat is to be able to see Jack inking his own art. 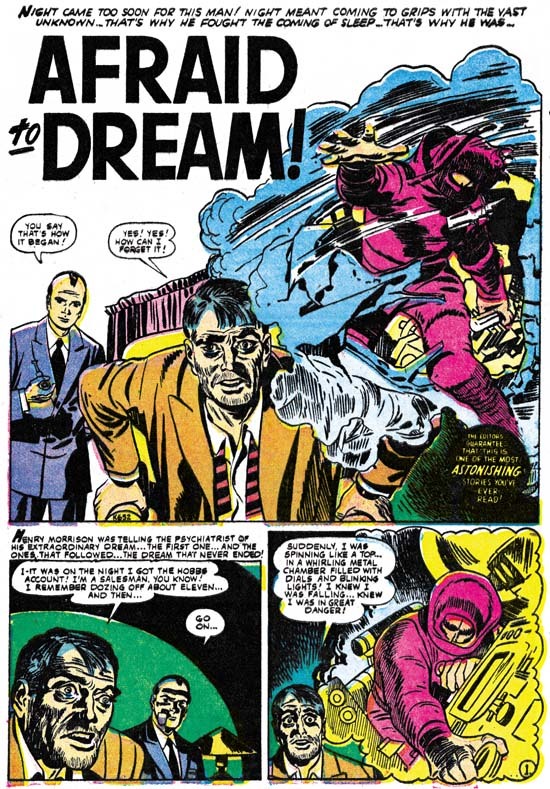 For the same month as Yellow Claw #2, Jack would do a four page story for Astonishing #56 call “Afraid To Dream”. It concerns a man who has trouble sleeping. His nights are disturbed by a continuing nightmare. In his dream a man crashes in a spaceship on a hostile world. It is night and the world is filled with numerous perils that the injured man must transverse in order to get to safety. But the spaceman must reach his destination soon for when day arrives the planet’s surface becomes too hot for him to survive. Jack has done other stories with vignettes showing the journey of some individual. Therefore I am confident that Jack also wrote “Afraid To Dream”. Like YC #2, Kirby also inked his own pencils. The inking uses the S&K studio style of spotting only with a finer brush. Finer that is compared to previous S&K productions but still probably too extreme for DC. 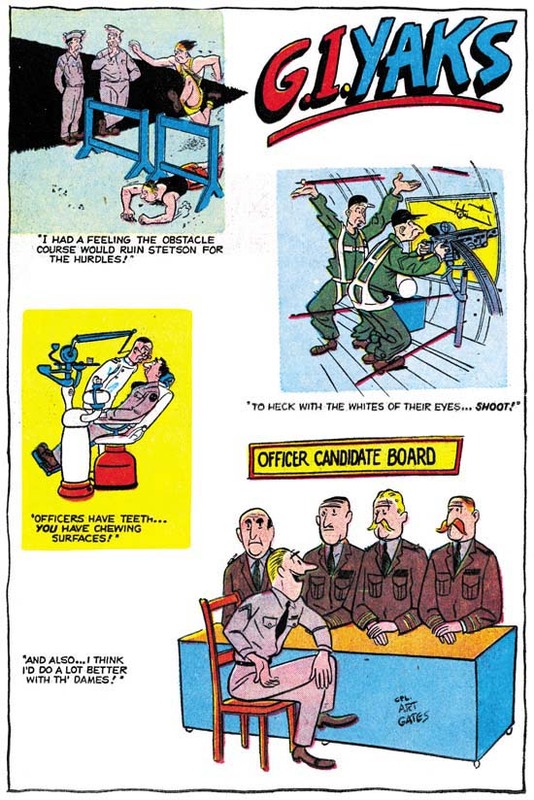 It is interesting to compare this Atlas work with the spotting that Jack had been doing the past year for Prize romance comics. At a glance these two inking techniques might appear quite distinct. The Prize romances have limited use of spotting and when spotting is used it generally floods an area with black. While for Atlas Jack did a lot of spotting (using a finer version of the S&K house style) and would rarely flood an area with black. 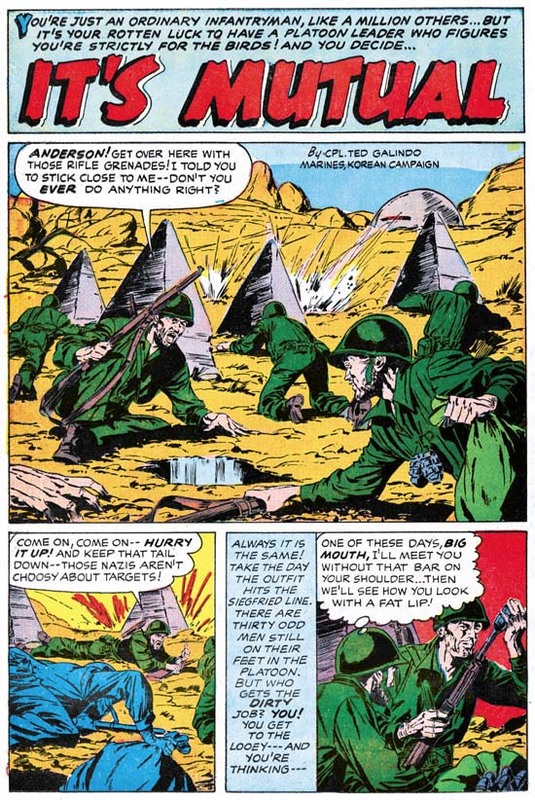 However for Atlas Kirby would often cover a large area with closely arranged S&K style inking. These larger dark area are shape similarly as the flooded areas of the 1956 Prize romances. The differences between the two approaches is probably related to the jobs. During the previous year Jack had been doing the penciling for pretty much the entire line of Prize romances. Jack had help, at least at times, with the outline inking but he did the spotting himself. Considering the amount of work he was doing he wanted to keep the inking to a minimum and so avoided the S&K style hatching. When an a black area was needed, flooding it with inking would be quickest. With Atlas Jack probably wanted to impress Stan and the readers. So it was back to S&K style shop hatching but applying it with a finer touch. 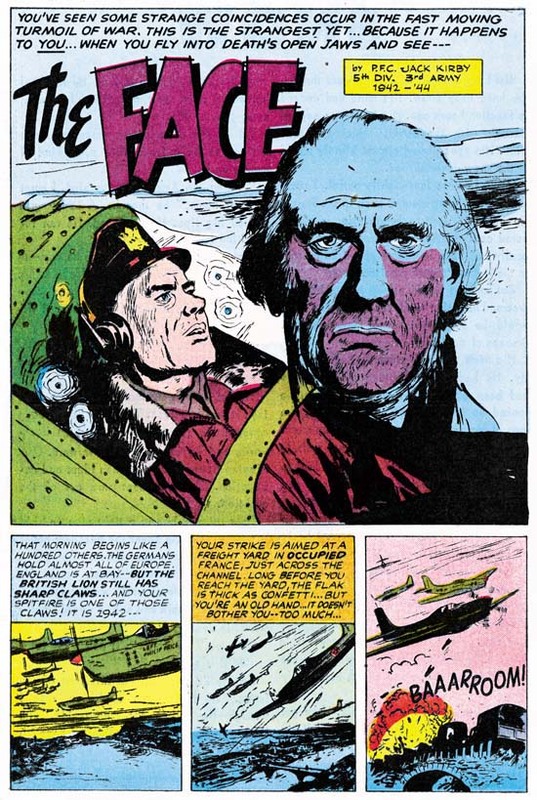 Jack may have been hoping that his work Atlas might lead not to just work as a penciler but to producing the comics like he had previously in the S&K studio. The difference between the true masterpiece and the rest is often surprisingly small. 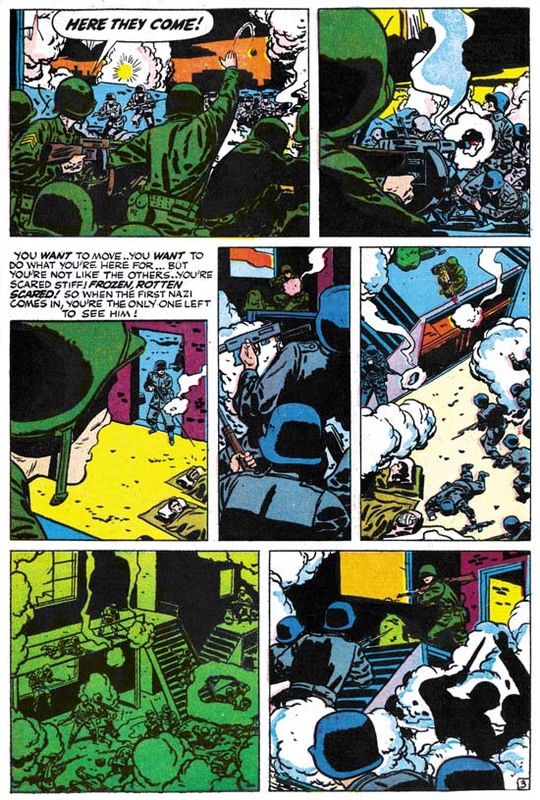 The spotting that Jack did for YC #2 and #3 is just amazing. Although the inking done for “Afraid To Dream” uses a similar approach somehow it just does not achieve the same results. It feels a bit rushed to me and just slightly off. Not much, so it is still enjoyable, but not achieving the masterpiece status. “Afraid To Dream” is just four pages long and it is hardly one of Jack’s greatest work. Still the story is enjoyable and it is nice to see what Jack could do by himself. 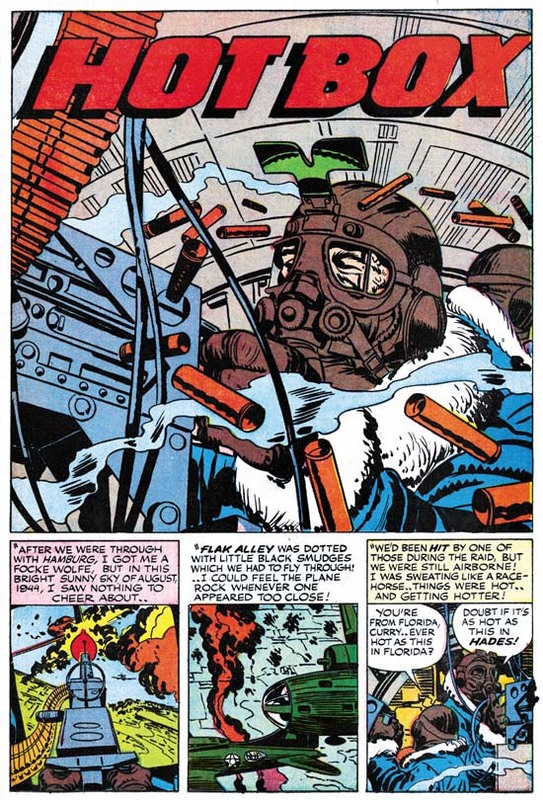 Kirby seemed to have a lot of control over what he did for Atlas at this time. Jack would loose that control for the work that he would shortly do for DC. However conditions at Atlas would in the not distant future change dramatically with the event called the Atlas Implosion. Kirby would return to doing freelance work after the Implosion, but working conditions would not be the same. 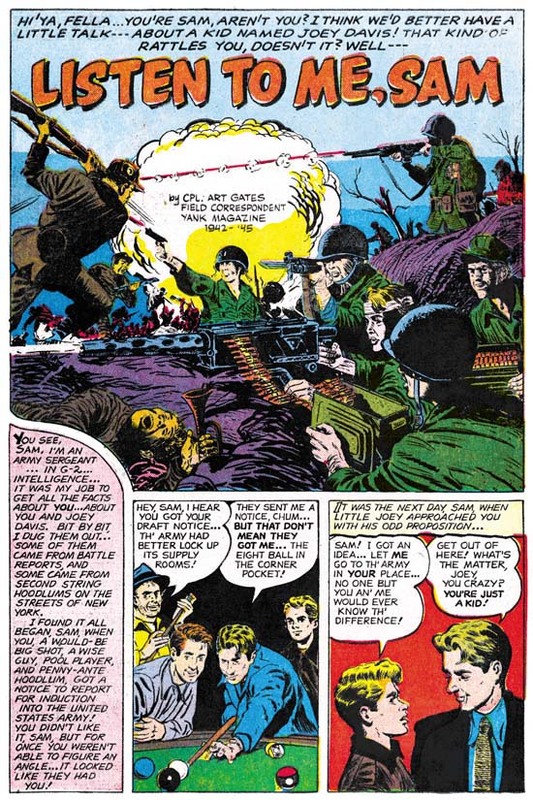 After that Jack would be penciler only, writing and inking would be done by others. Jack may have been welcomed back to Atlas but he was not Stan Lee’s number one artist. Stan’s bright eye boy was Joe Maneely. Maneely was fast and he used detailed inking. Stan turned to him time and again for the most important covers or stories. 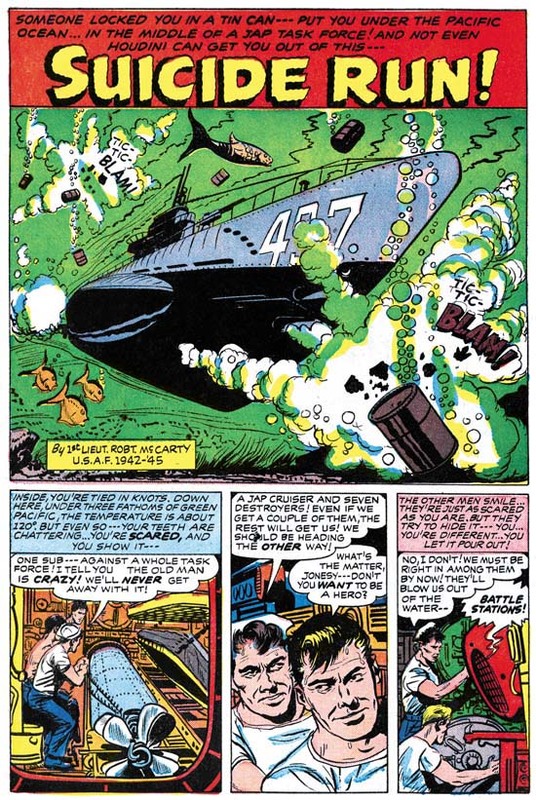 The early death of Joe Maneely in 1958 probably had more impact on the future of Marvel Comics then even the Atlas Implosion. 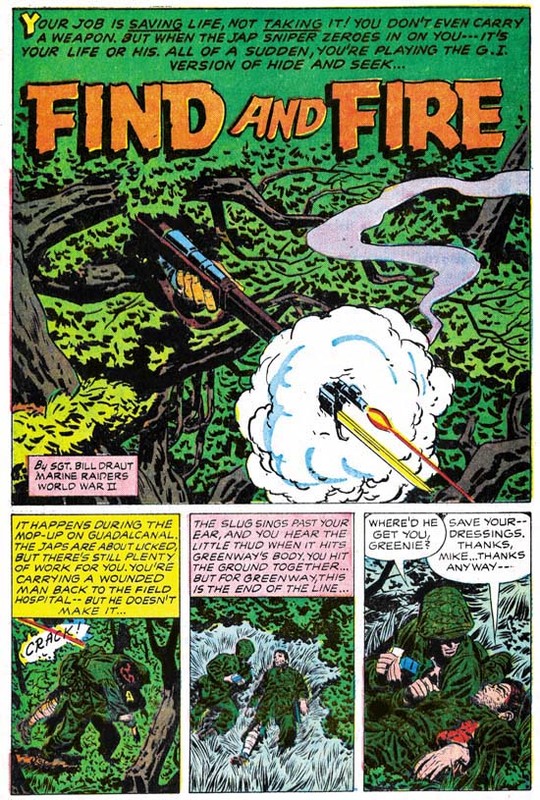 What would Fantastic Four #1 have been like if it was drawn by Maneely and not Kirby? Or what about Spiderman with Maneely instead of Ditko? Of course this sort of “what ifs” can never be truly be answered. I must confess I find Maneely to be the antithesis of what I seek in a comic book artist. To me his art is extremely dry and overwrought. I have no doubt that if he was the artist for the Fantastic Four I would never had become a Marvel junkie.